yep .... YUNNK ... this is a video of how i van halenized my old kramer pacer ! The biggest Van halen fan from italy and ... of course ... the Yuuunnkkk creator !! just a yunnnk question ... how can i post a link with the video and not only the url ? if you want to post a video from youtube you do it like this but WITHOUT any spaces. glad to be of help feel free to ask if you're unsure. "I'm a 45-year-old man, and I still like to wear a thong or a speedo when I go swimming. Not because I have a great body, it's just an easy way to make sure I have the hotel swimming pool all to myself. "...Bullwinkle for quite obvious reasons! "Dude, the cashier gave me the creepiest sneer when he rang up my unmentionables! "...Sassy Lassy during a Facebook conversation! That's the facebook page for my recording studio, so I upload a lot of projects and demos on there as I'm working. I just posted a quick demo of a very rock n roll version of "The 12 Days of Christmas" -- you can listen in the music player right on that page. some people have reported that it won't allow downloads or streaming if thats the case try this link instead. Last edited by tommywho5150; 11.09.10 at 12:23 PM. Someone on youtube asked me to play the intro to "And the Cradle will Rock". I never play VH songs on guitar. Used to when i was a teenager though. Join my EVH Gear Fans LIVE Facebook Group! With a real rockstar - Jason Becker. Here's a cover of Somebody Get Me A Doctor that my band Balanced did live. There's a link in the video description to download a hi quality mp3 if you're interested. We had a ton of fun doing this one. Not bad man. Might want to fix the verses, you're hitting some bad notes in there. I like the end, how you did what Ed does live. Song sounds funny in standard tuning though. Thanks! I did this recording only because of this ending hahaha I like it so much . Here is one for Top of the World, unfortunately it contains the rhythm guitar in it, but maybe it can help. 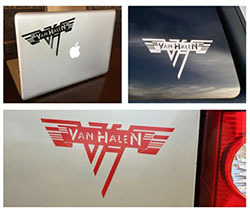 "To not be heard is to not exist"
anyone have these van halen mp3's to share? who will get the lions share? I am not kidding when I say anti-Semitism is the acceptable racism in modern America. Ten 13 is awesome for sure. Deeper Kind Of Love, Let Sally Drive, Serious JuJu etc. Killer album.